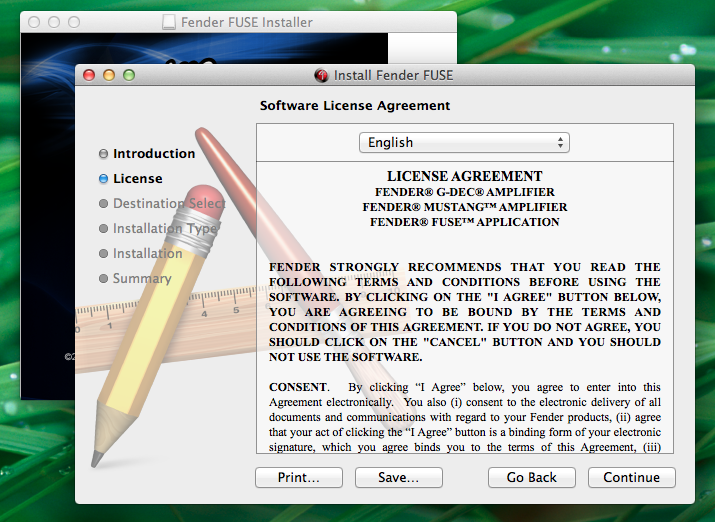 To download and install Fender FUSE software on your Mac, please follow the steps included below. 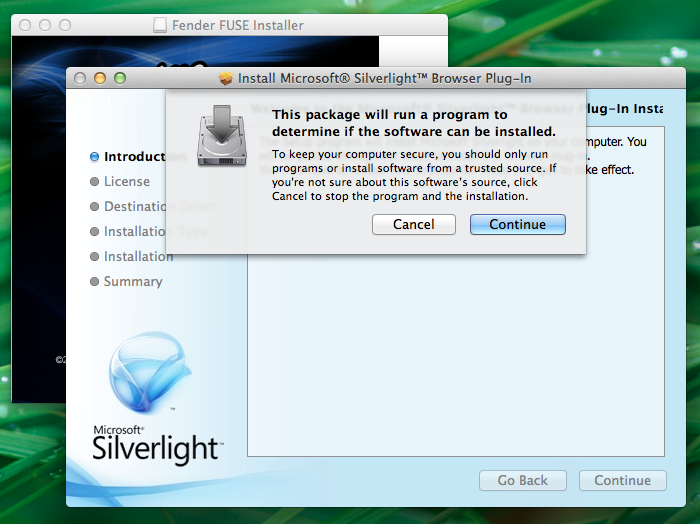 If you are running Mac OS X "Mountain Lion", you may need to adjust a security setting in Gate Keeper. 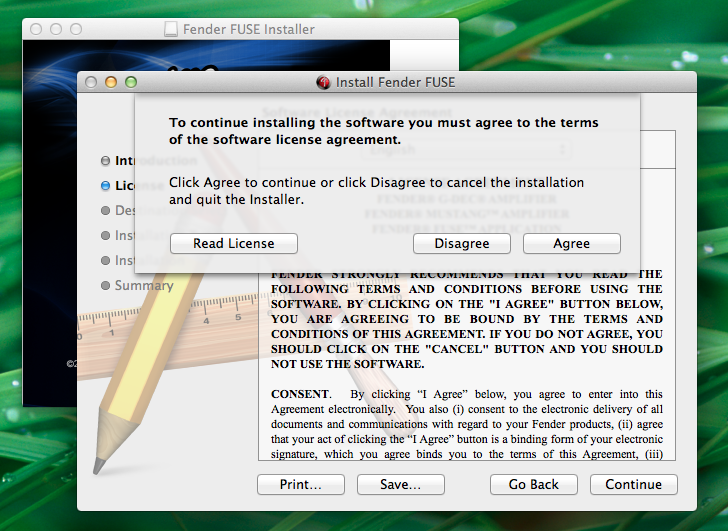 You will know if this is needed if you see a message warning you that Fender FUSE cannot be installed. If you see this message, please click on the link for instructions to adjust the security setting in Gate Keeper on your Mac to allow this installation. 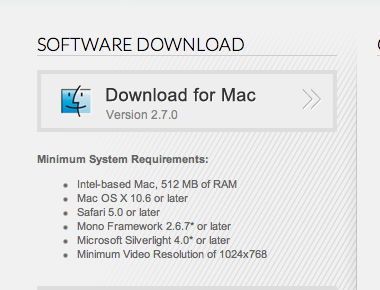 Additionally, on Mountian Lion you will likely need to install the Mono Framework and Quartz X11. 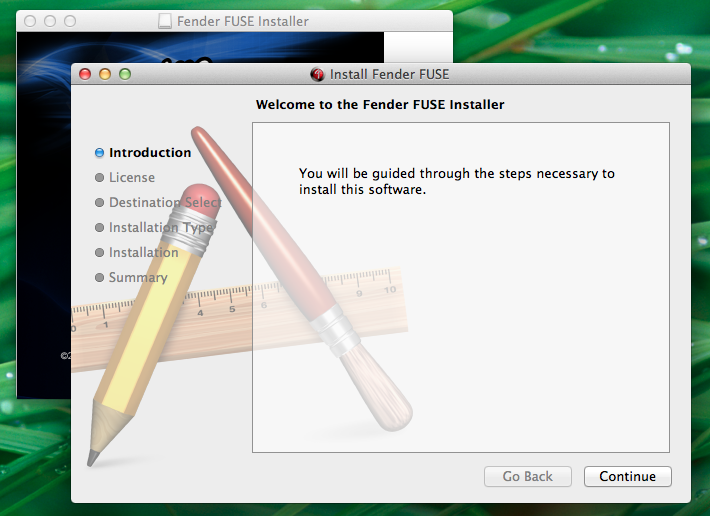 Please see the links included below for instructions on installing these components as needed for Fender FUSE. 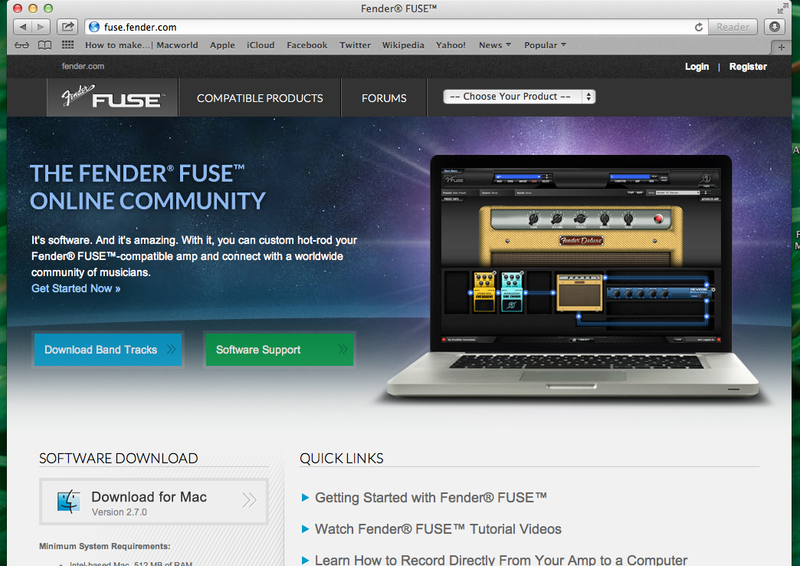 To begin, navigate to http://fuse.fender.com/. You will see the following web page. 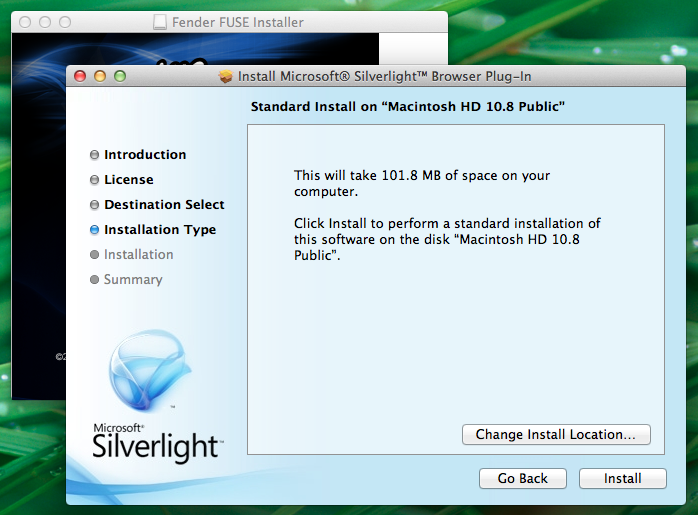 Click on "Download for Mac" Under the SOFTWARE DOWNLOAD text. 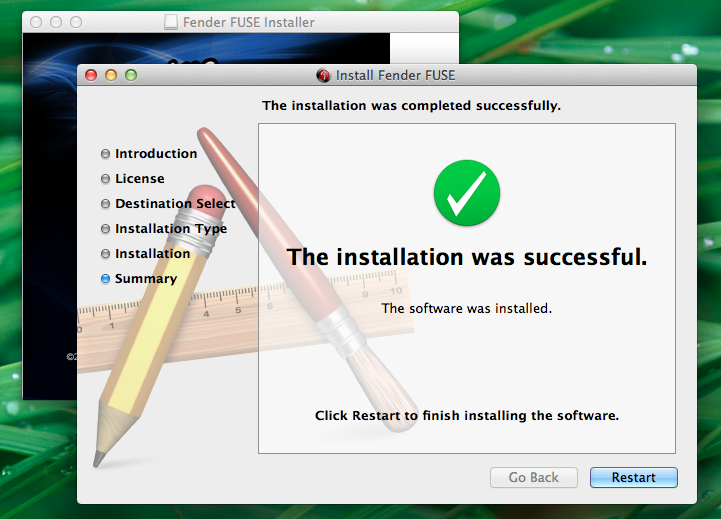 Next, locate the Fender FUSE installer that you downloaded. Normally it will be in your downloads folder or in the downloads list in the Dock. If it is elsewhere, you can use Spotlight to search for the file. 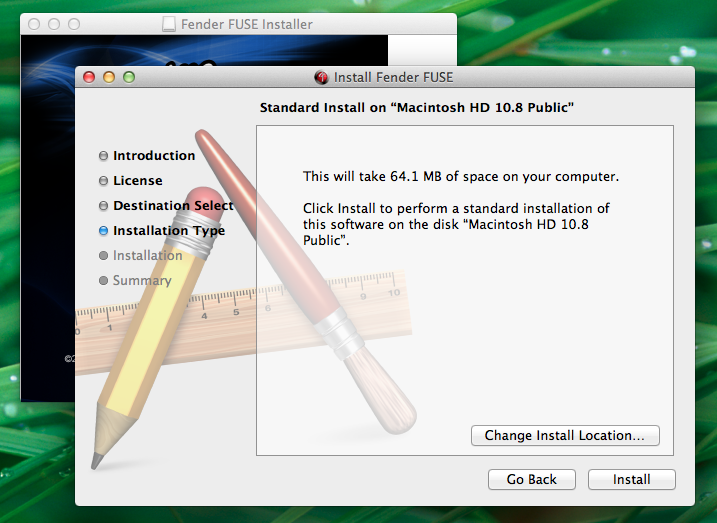 Double click on installer file. You will see the following window. 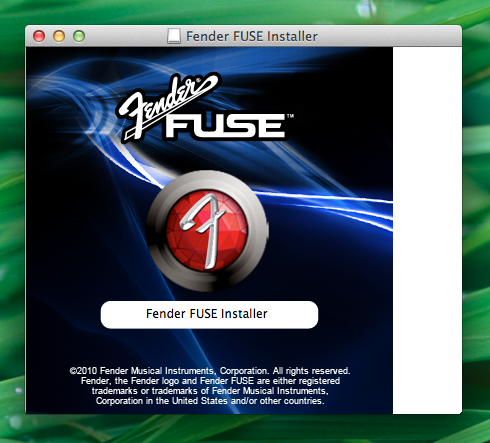 Next, double click on the red Fender® "F" icon. You will see the following security warning. 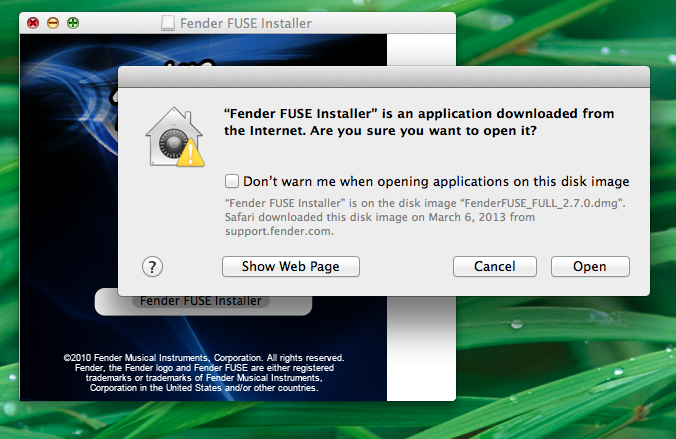 Click Open to begin the installation of Fender FUSE. 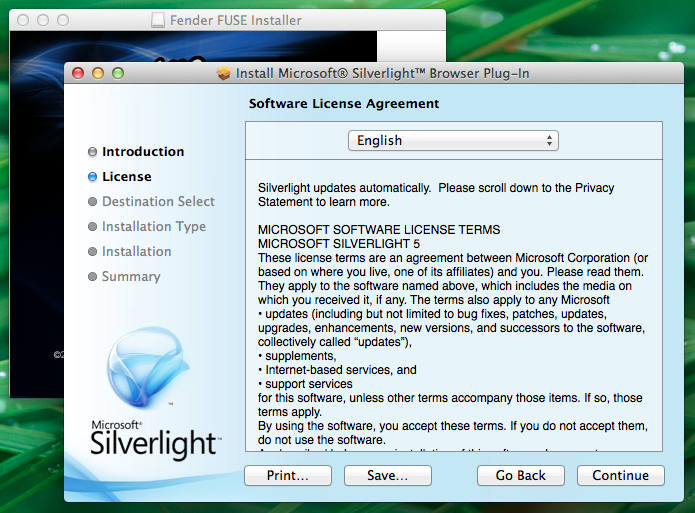 Unless you have already installed Microsoft Silverlight previously for another use (such as Netflix), you will be prompted to install it at this point. Click Continue to advance to the next screen. On this screen, click Continue. Read through the End User License Agreement, and click Agree. Here you will want to check that your Start Up volume or drive is selected as the target. As seen below, this will normally be named "Macintosh HD". 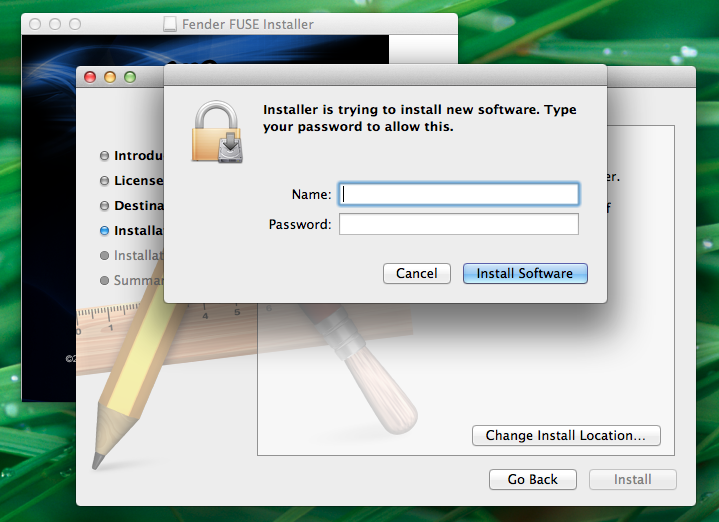 If you need to change the target/installation location, click on "Change Install Location", and then click Install. Here you will need to enter your User account credentials. 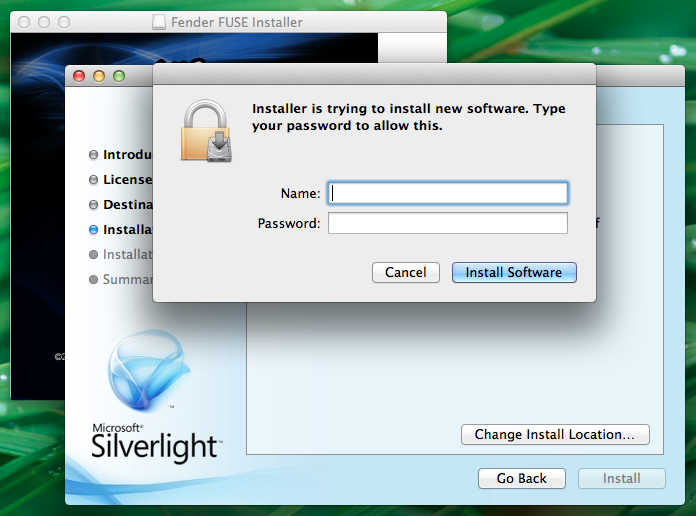 Once you have entered this information, click on Install Software. 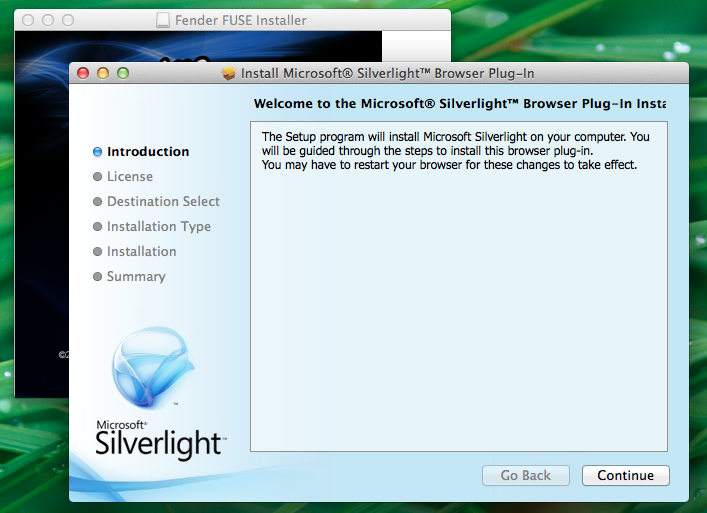 At this point the Silverlight installation will be complete. 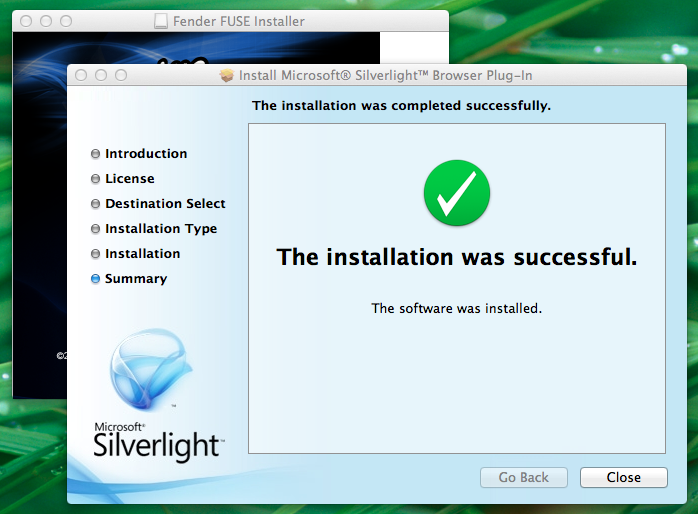 Click Close to move to next step of the installation. Click Continue here as well. Once the installation is complete, click Restart, and once your computer restarts, the installation process will be complete.